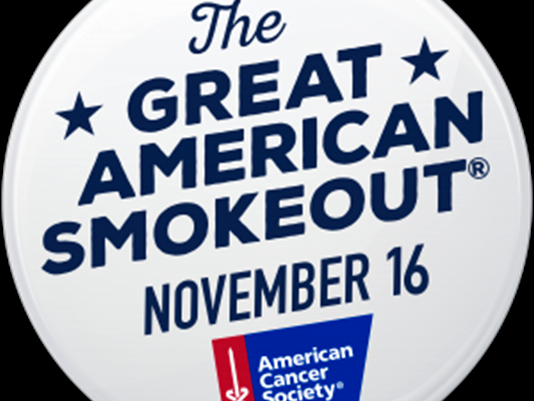 In an effort to end smoking and raise awareness about the dangers of tobacco use, The University of Toledo is joining the American Cancer Society’s Great American Smokeout Thursday, Nov. 16. Sponsored by the UT Alcohol Tobacco and Other Drug Prevention Program and UT Pharmacy Services, the University events will take place from 11 a.m. to 2 p.m. in the Thompson Student Union on Main Campus and in the UT Medical Center Medical Pavilion near the UTMC Pharmacy on Health Science Campus. The goal of the events is to raise awareness about the detrimental effects of smoking, as well as provide students, staff and faculty with information on how to quit. “We want students, faculty and staff to know that the University cares about their well-being. There are many groups and resources on campus that can support those looking to quit smoking, this event helps bring that information to those interested,” said Jocelyn Szymanski, wellness administrator. On Main Campus, pharmacy staff will be on hand to give carbon monoxide tests to smokers so they can measure their lung capacity and also show the amount of carcinogens that enter their body when they smoke. Both locations will have tobacco cessation information and other educational materials and handouts. Another goal of the events for the Great American Smokeout is to remind students, employees, and community members that The University of Toledo is tobacco-free on all campuses. For more information about the Great American Smokeout, contact Szymanski at jocelyn.szymanski@utoledo.edu. This entry was posted on Thursday, November 16th, 2017 at 3:50 am and is filed under Events, UT Health, UTMC, UToday .